Laser treatment has been shown to aid in damaged tissue regeneration, decrease inflammation, relieve pain and boost the immune system. 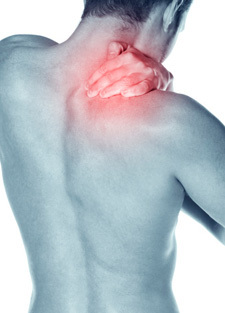 There is a good chance laser therapy could be your pain solution, allowing you to live a more active lifestyle. Most of our patients feel relief after their first treatment. Free Consultation & First Treatment! Contact us for a free consultation with Dr. Melling and get your first treatment with no charge. Value of $150. All you have to lose is your pain! After struggling with pain for years, I completed a series of 10 treatments and I’ve never felt better. I would highly recommend anyone with any pain give this new laser therapy a try. If you decide to purchase additional treatments, you have the legal right to change your mind within 3 days and receive a refund. Federal recipients are excluded from this offer.